With their 1997 self-titled debut, Third Eye Blind charted five hit singles, three that made the Billboard top ten, while moving six million units worldwide. Over a year after the release, they were still logging hit singles and touring, and as we've learned over many episodes, the follow-up doesn't always get the same attention to detail. 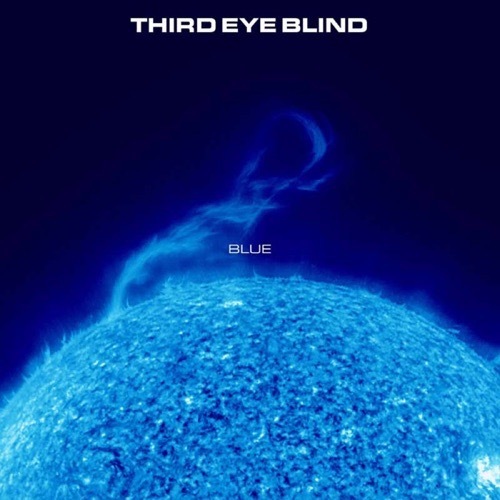 With the 1999 sophomore album Blue, their limited studio time didn't stop the band from stretching musically, conducting some interesting sonic experiments to compliment Stephan Jenkins rapid fire sing/speak delivery. But 1999 looked very different from 1997 - radio changed, Napster would become a thing, pop music was dominant - was their even room for a jangly rock band anymore? Whether trying to keep up with the times or not, they delivery the most pop-friendly single of their career in "Never Let You Go." While the music takes a leap forward on the rest of the album, the melodies and lyrics either sound under baked or over thought, leading to a potential dreaded sophomore slump.